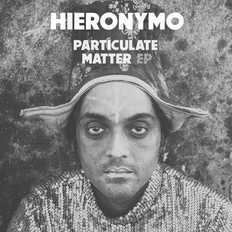 Hot-tipped trio Hieronymo have made it far recently, all the way from outer space. They come in peace, armed only with pumping beats and tender celestial voices to melt your troubles away. Expect to hear psychedelic rock that knows how to hold down a hypnotic groove, punctuated by haunting vocal harmonies, lush guitars and the odd synth. Now sure, there’s a humble head-wobble towards the 1970s - Thanks 1970s! Thanks Krautrock and Afrobeat!! But this thumping sound builds a bold new world of its own. Landing up in New Delhi from Canada and the UK, Sam Harrison and Will Clark were on a quest to find the one drummer made for their strange lyrical songs. Aman Kumar Singh - local legend of Advaita and Bipul Chettri – provided the firepower necessary for blast-off. Since the atmospheric conditions in Delhi became toxic for these alien songbirds, the boys moved south to Goa this year. They are beavering away on their second album **right now** for the benefit of your little ears. What’s it called? Vasco’s Gamma Ray, perhaps.